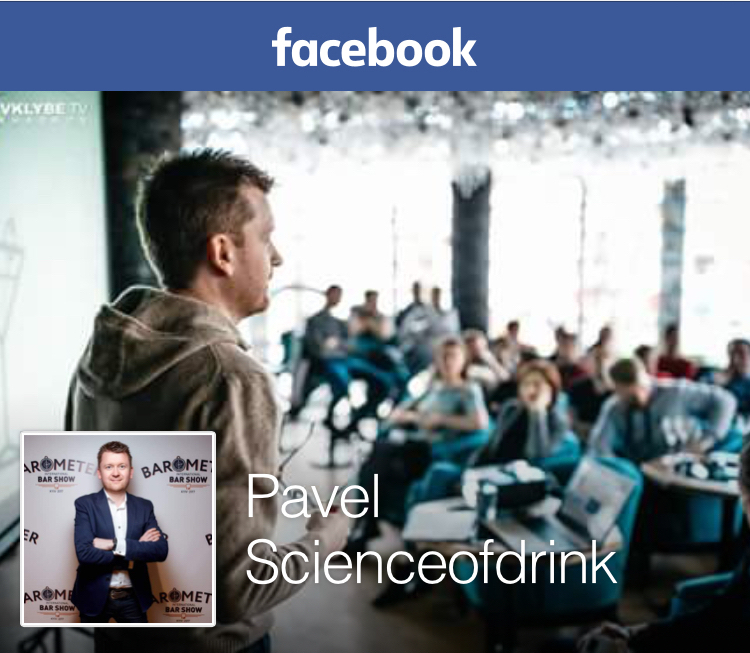 Posted on March 5, 2015 August 4, 2015 by Pavel Y. Well, as you might have gathered from my latest posts, I totally have a crush on rosso vermouth for now. I accidentally obtained at least one and a half literes of antica formula vermouths (Carpano Antica Formula and Cinzano 1757) and also I had to open at least two bottles of reference samples to scrutinize the red vermouth issue completely. So, I must explore them in whatever which possible way because red vermouth doesn’t keep for a long time, while letting those bottles spoil would be completely wrong and embarrassing. 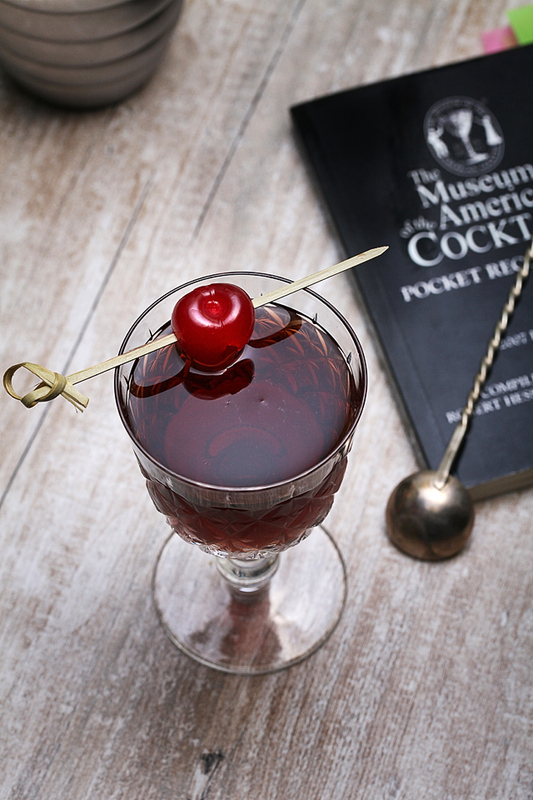 This curious vintage cocktail was found in The Museum of the American Cocktail Pocket Recipe Guide 2007 edition by Hess, Robert and Miller, Anistatia (2007, USA), that is, actually, one of my favorite cocktail handbooks. Every time I take this book to read I really admire the cocktail taste and erudition of the authors. It is an excellent and way too cute cocktail book. Stir well with a lot of ice than strain into a cocktail glass. Actually, Arnaud Cocktail is not only my wife choice, it is definitely my choice too. In my opinion, it is an excellent after-dinner or brunch cocktail which has a ton of advantages. First of all, Arnaud Cocktail is very elegant. It has quite a comfortable strength and a perfect balance (yes, it is very sweet, but not sickly sweet, you know). The taste is so composite, rich, similar to some exquisite desert wine full of berry, herbaceous and fruity notes. That’s absolutely obvious – the ingredients have plenty to enrich each other. Clearly the main peculiarity of the taste is a strong black-currant note adorned with a bunch of botanicals from gin and dry vermouth on a full-bodied sweet palate. Pretty good! Also the Arnaud Cocktail has completely noble appearance. Using genuine natural well-crafted varieties of Creme de Cassis such as Crème de Cassis de Dijon, Crème de Cassis d’Anjou or even Crème de Cassis de Bourgogne, which, as a matter of fact, are AOC’s, you never can get a pinkish concoction. No way. Black currant is a black currant, and it was named that way definitely not by coincidence 8) So, with a quality liqueur you can obtain [not only a superb taste, but also] a very dark, deep red, almost black or dark-brownish cocktail so similar to rich red wine, probably with dramatic red hue. Gorgeous! P.S. ‘MWC’ in the header of this post stands as My Wife Choice. It’s a series of posts devoted to my wife’s favorite cocktails. As a rule I also like these cocktail a lot ;) By the way, previous concoction in the series was Royal Hawaiian. А какой вермут вы использовали? @Дмитрий: я опробовал пару вермутов – Martini Extra Dry и Gancia Extra Dry. Оба были хороши, но возможно мне больше понравился первый. Но, на самом деле, определяющим ингредиентом является ликер. 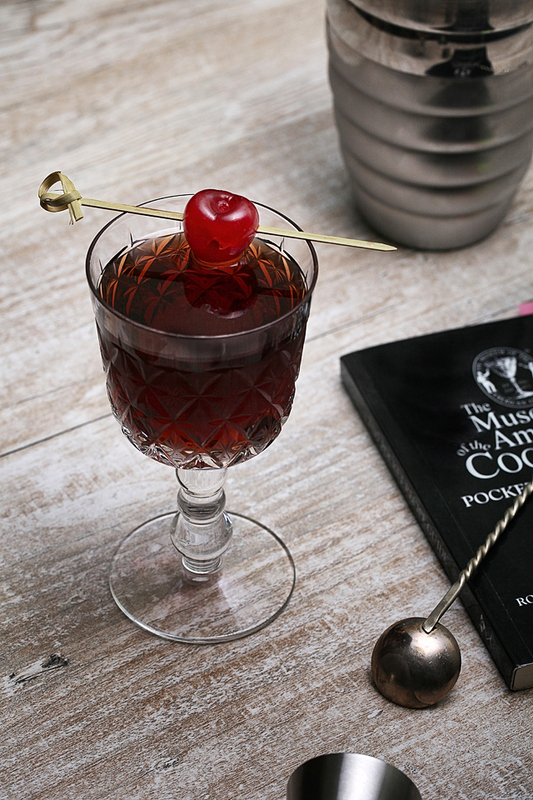 Marie Brizard Creme de Cassis de Dijone (тут надо внимательно, у этого производителя два creme de cassis) работал очень хорошо. Thanks for bringing the Arnaud to my attention. Somehow I had missed learning of it, and I look forward to trying it. And thanks for the great photos. IMHO, Arnaud is just an excellent drink. Maybe, it seems not so interesting as it IS. I mean, cheap sickly sweet black currant liqueurs with an artificial flavor and color from popular bar-line liqueurs don’t be able to encourage whoever to mix it with such great things like dry vermouth and gin 8) but, actually, good creme de cassis is a sort of an alcoholic heritage, a piece of French cuisine, isn’t it? And of course thank you for your thanks! …and I forgot to mention: I like the MWC idea. My thanks to your wife. @scomorokh, спасибо. Я просто озадачился, каких бы вермутов купить в домашний бар вместо (или в дополнение к) Мартини. Со сладкими все понятно, а насчет сухих думаю. P.S. Это не белый вермут, это сухой, если по цветам, то можно за уши притянуть “палевый”. Я тут, кста, недавно короткую справку по вермутам накропал. Знакомство с нею в очередной раз активировало у меня в башке определенные мысли, по поводу которых хотелось бы поделиться. Не хочется засорять коменты, поэтому, Павел, если можно адрес лички. Обещаю не надоедать. О, еще один потенциально шикарный коктейль, настоящая жемчужина! Надо признать, у твоей супруги вкус отменный, как минимум не хуже, чем у Жермены Ивонн Арно;) Думаю попробовать Arnaud Cocktail одним из первых после двухнедельного воздержания от холодных напитков. Кстати, на каком джине ты его делал? На джине я его на каком только не делал. Ты ж понимаешь, постоянный стресс, циклы исследования коктейлей растягиваются, становятся очень объемными… Но супруге точно больше всего нравился на Hayman’s London Dry. А мне вроде на Бомбее. Заценил я жемчужину:) Потенциально это экселлент, конечно, но мой ДК крем де кассис явно был слабым звеном в связке с Нуалли Пра и джином №3. Разживусь хорошим ликером, обязательно повторю! Привет :) Соглашусь насчет ингридиентов. Причем именно повышаемость качества оных даёт невероятное кол.во по прописи одинаковых но столь различных на вкус и аромат коктейлей. Это я про Арно. Не за что! 8) Это ж мое удовольствие с какой стороны не посмотри. Только что опробовал! Замечательный коктейль!